As a contractor, you are no stranger to the fact that if something can go wrong on a job site, inevitably it will. Owning a contracting business comes with a lot of challenging responsibilities. There are a number of things that can go wrong very quickly and end up costing you a lot of money if you are not prepared. Things like theft, injury, damage or any other type of loss on the job site will not only set you back on your deadlines and requirements for the project, but can also get very expensive. What is the best way to be sure you are protected against all of these things? 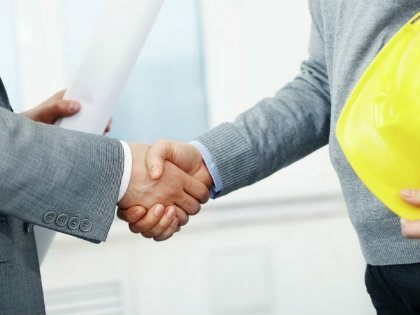 In Illinois, you can trust the insurance agents at The Jager Agency, A Division of Dimond Bros. Insurance to keep your best interests in mind when creating your personal and comprehensive construction insurance policy. We’re your neighbors and we want to look out for you the way neighbors should. A schedule to cover you. A schedule to cover the company or individual you are contracted to. A schedule to cover any public individual who may be affected directly by your work. In your line of work, there are a lot of risks involved. You shouldn’t go unprotected by not having adequate contractors insurance. Give us a call at 888.298.6006 today or take a moment to fill out the free online quote form to hear from us. Let us help you protect your business.